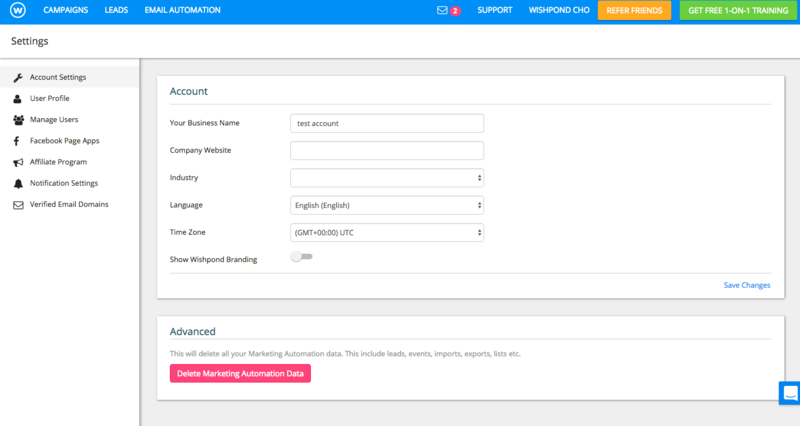 Changing the language settings on your Wishpond account will change the language on the backend of Wishpond as well as the placeholder text on your different landing pages, popups, and social campaigns. 3) Click on English” beside “Language”. This will open up a drop down menu of language choices.